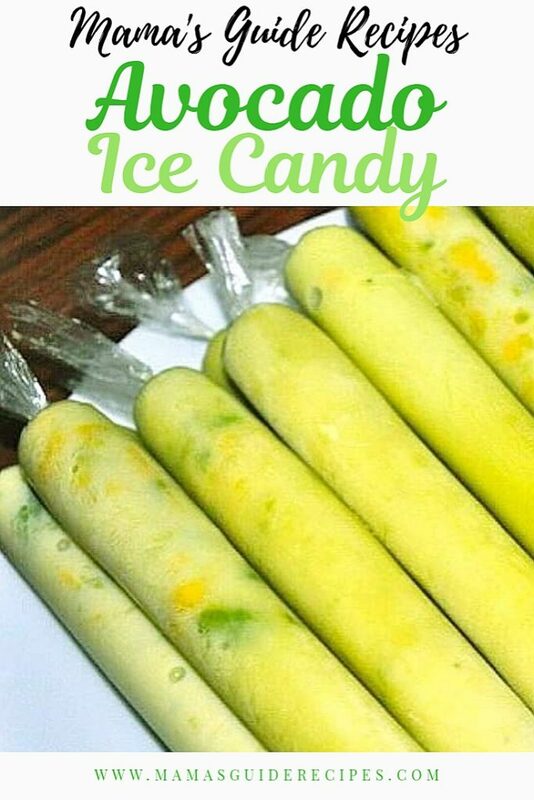 Yummy and simple Avocado Ice Candy for summer! Make sure to prepare it at night so it is ready to serve the next day. Sliced avocado in half lengthwise, remove the seed in the center and spoon out flesh. In a blender, add little water, sugar and avocado flesh then blend well until smooth. Just separate a few chunks to add in each ice candy wrapper later (chopped or grated). Transfer into a large shallow pot, container or small clean pale that can hold more than 6 cups of water. Add the evaporated milk and condensed milk. Mix it well. Using a funnel (embudo), fill in each ice candy wrapper with the mixture and add some avocado chunks. Tie the end of the plastic wrapper. Repeat the same process until all mixture are wrapped. Freeze for 8 hours or more. Ready to serve and enjoy!